When you combine personal emails with your business emails, there’s a good chance that you probably look at and send thousands of them every week. 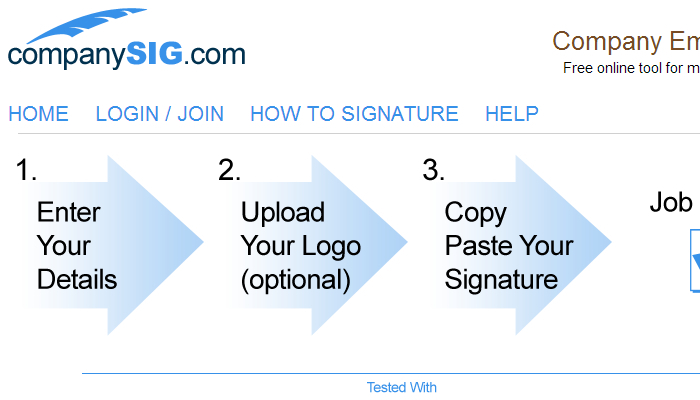 Every email has one thing in common: the signature at the end of the message that provides contact information. You could have a pretty basic email signature that gives everyone the essentials… or you could jazz it up with one of these cool email signature templates that will help you express yourself in a fun way. Tested with the major email clients already, this platform takes the template out of the equation and lets you create something great with just a few clicks. You just enter in your details, upload your company logo if you want, and then paste the result into your preferred email platform. You have multiple color options, can provide links to websites, a map to your agency, or your v-card so people can keep your business details on hand. It’s fast and it’s free. 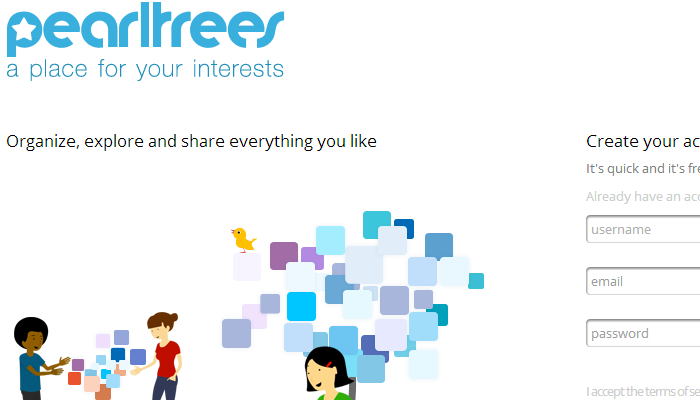 If you want the full use of your email, then Pearltrees is the place to go. 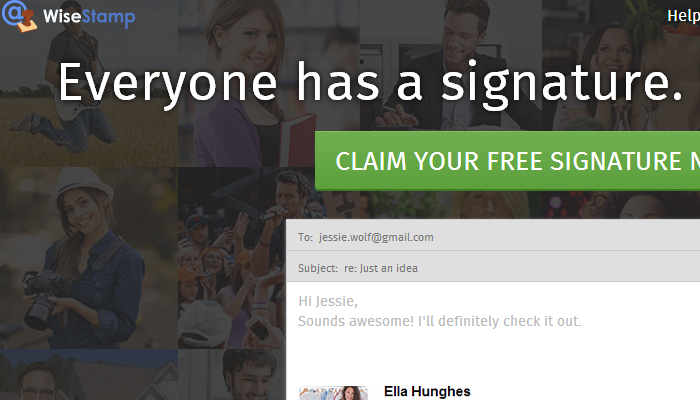 Not only will you find a very handy [and very free] email signature generator, but you’ll also find a wide variety of other handy tools to help your email really stand out. You can focus on logo design, the design of your email buttons, and get lots of examples from forum connections of cool email signature templates that could help you get the fully customized options that you want. 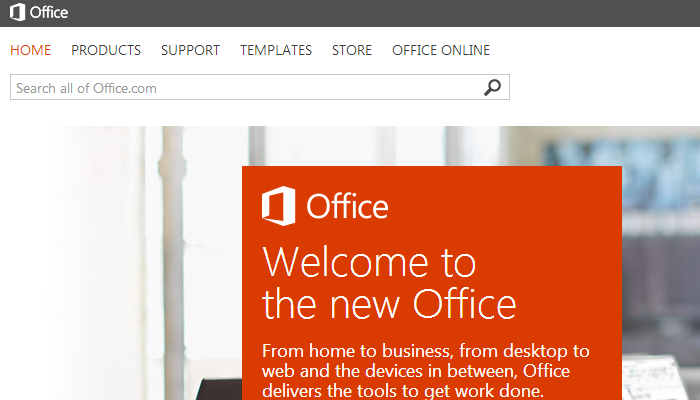 Many businesses today utilize Outlook as their primary email client, which means that using Microsoft Office for the cool email signature templates is simple and easy to do. You just choose the template that makes sense for you, paste it into the automatically generated signature menu, and you’re ready to go! There are options that include tables and photographs, plus you can incorporate logos and other graphics if you prefer. How cool would it be to create a custom email signature from a template that has a patent pending on the process? That’s what you’ll get with this browser-based template program that will provide you with all of the contact essentials that are needed in a good signature. You can even include a legal disclosure as one of the options, plus there’s even full social networking integration for your company’s Facebook pages or Twitter account. The one downside of this template program is that it doesn’t support any Apple integration. 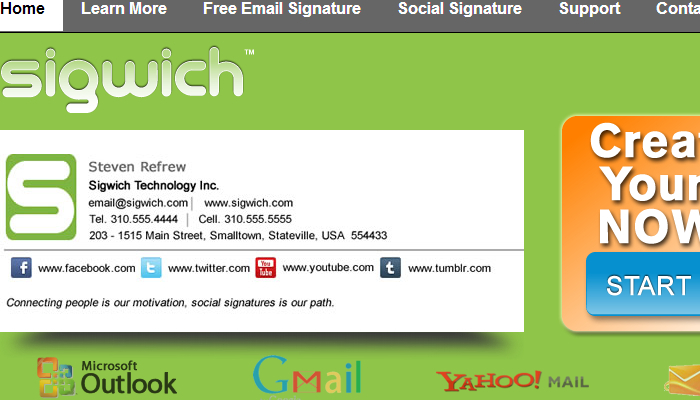 With their cool email signature templates and other apps, you can create a powerful tool with every message you send. You can put in feeds from your company’s blog or even posts from your LinkedIn profile. You can incorporate random quotes as a fun variation to your signature and there’s even an option to include eBay listings. There are plenty of free templates available and some premium ones that can add even more power to your messages if you don’t mind the small investment.